Use for questions about AngularJS (1. How do I 'think in AngularJS' if I have a jQuery background? This article will show you how to hit the ground running with AngularJS while using a server side MVC framework, ASP.NET MVC. Let’s look at the scenario where we need to confirm a new user’s password during registration. Angular is a powerful tool for managing the display of data. However, like any powerful tool there can be trouble if misused. Below we’ll look at some common AngularJS mistakes. They vary in severity, but ultimately can conspire to make developing an AngularJS application more of a headache than it needs to be. We’ll cover five of these common mistakes, and ways to avoid them. Single Page Applications using AngularJS with ASP.NET will by default leave our web api methods open to forgery abuse. A few simple steps will allow you to add anti forgery protection. 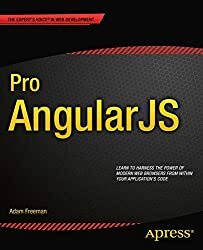 Angular is a great tool for enriching an ASP.NET MVC application, but you must bridge the gap between your client-side code and your server-side code in order to use it effectively. In this post, I’ll show you a couple of ways that you can pass data from your Razor views to your AngularJS components. The Angular-file-upload directive by nervgh is an awesome lightweight AngularJS directive that handles file upload for you and lets you upload files asynchronously to the server. This article will provide you with a basic understanding of how to upload files using this directive together with the .NET WebAPI service on a SFTP server. This tutorial, will teach you the basics of Node.js. Not only will you learn what Node is and what you can do with it, but you’ll see Node in action. You’ll build a simple application for a video rental store using Node, Express, Angular and MongoDB.